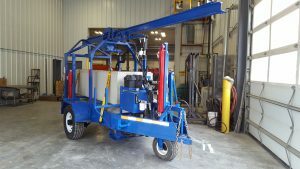 FM FAB3 Vault Trailer and Engineering Efficiencies | Fort Miller FAB 3 Corp. 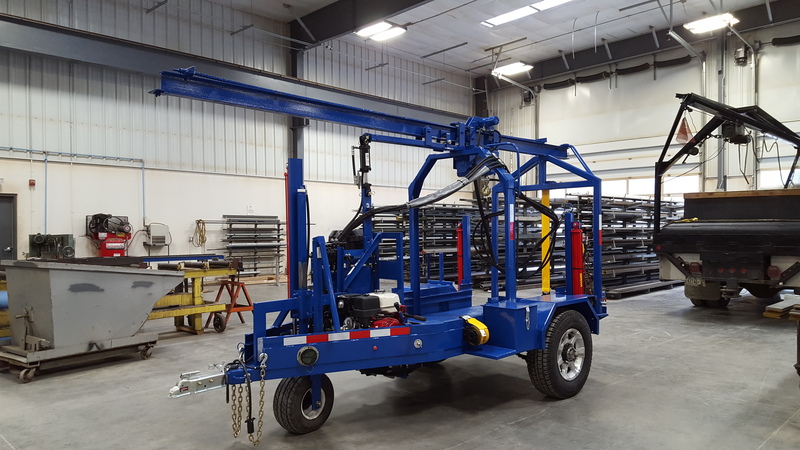 In working with our sister company, The Fort Miller Service Corp., we saw an opportunity to improve the Vault Trailers that they use in providing graveside services to their valued customers. We took a hard look at what was currently on the market and then discussed with the FMSC team what improvements they would recommend and like to see in a redesigned Vault Trailer. We believe that this process of identifying needs and striving for innovation is applicable to many other fields and markets. Please take a look at the abbreviated version of our brochure for our new Vault Trailer below and please contact us if you are interested in exploring this process of engineering greater efficiencies into your products. 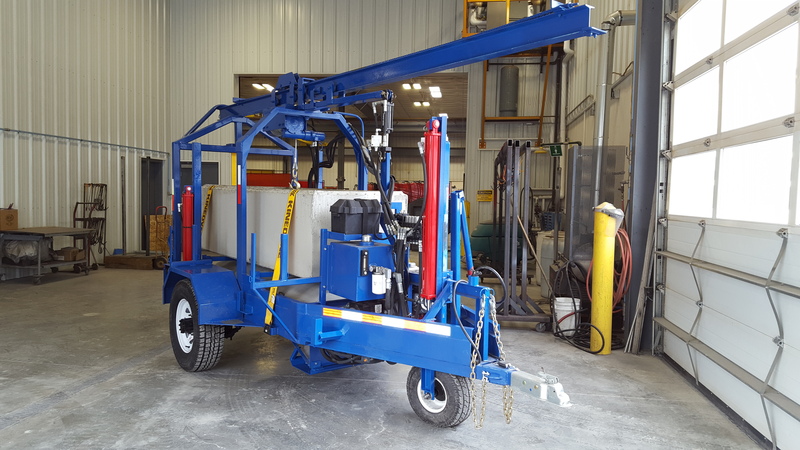 The Fort Miller FAB3 vault handler trailer is a completely self-powered/contained trailer that allows for the movement of burial vaults to their final destination. 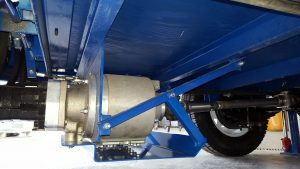 This trailer is completely towable for over the road transport and is engineered to a higher standard than of current vault trailers in the marketplace. These improved features and wider range of options allows this trailer to be the best built trailer in the business. 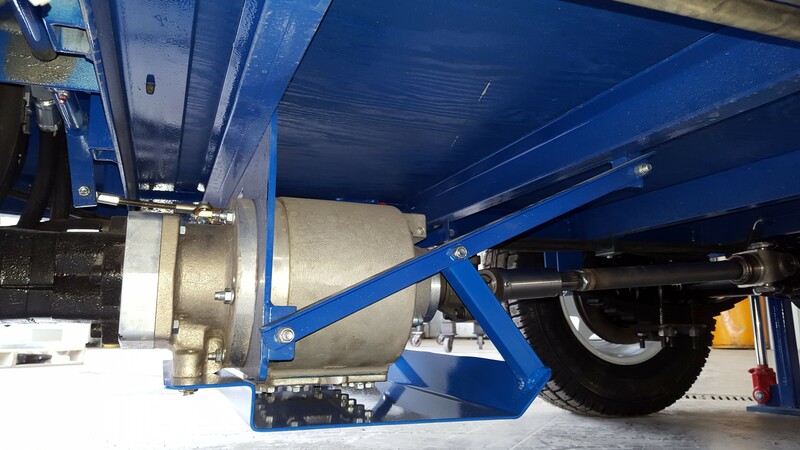 Rear differential is equipped with disc brakes for more stopping power when being towed or travel on the job site. 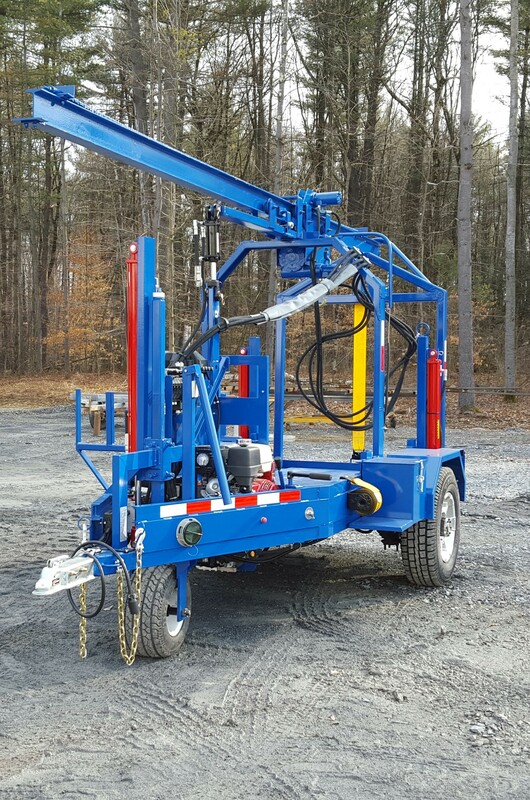 Hydraulically controlled I-beam with operator friendly remote pendant. Higher load rated tires designed for the application. Positive locking drive assembly for safer starts and stops. LED lighting for higher visibility on the road and at the gravesite, as well as longer life. Approved DOT license plate mounting location. Improved drive assembly with new transfer case, proven in the off-road world, with complete driveshaft. No chains, sprockets that allow for slipping, breakage and constant lubrication. 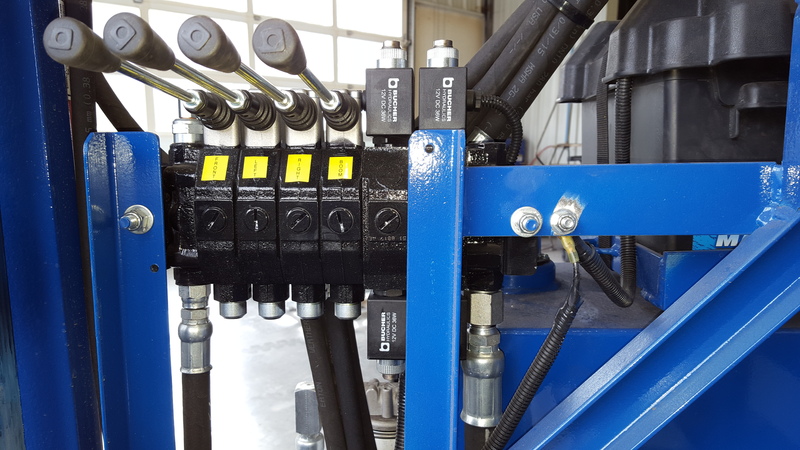 Two stage hydraulic pump for increased flow to the functions that matter and increased hydraulic ram speed. Compact stacked valve bank for ease of use and maintenance/service/repair friendly. Heavy duty 4” diameter hydraulic ram on I-beam for added strength. No need for hand crank winches. Hydraulically powered legs with 36” of cylinder travel, as compared to competitors only 24”. 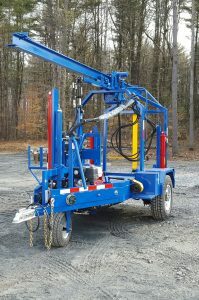 Not 6,000# but a 9,000# U.S.A made Pierce hydraulic boom winch. Tough enough for a tow truck, yet equipped on a trailer. Dana 60 Rear axle, same axle found in ¾ & 1 ton trucks. Rugged skid plate to protect the underside in the most uneven gravesite environments. Machined & proven new Atlas II U.S.A made transfer case. Industrial/commercial Honda engine equipped with electric start/stop & choke with full size automotive style battery for longer life. Frame constructed using “open” structural metals, such as angle and channel for significantly reduced rust collection areas and easier to clean, wash & maintain. To discuss your trailer needs or to request a quote, please contact our Sales or Engineering staff today!